This completely remodeled brick ranch features 3 bedrooms, 2 bathrooms and a huge back yard with a fence for entertaining friends and family, letting your furry friend run around, or just to hang out in the beautiful Charleston sunlight. This Lowcountry home went on the market and was under contract in ONE day!! 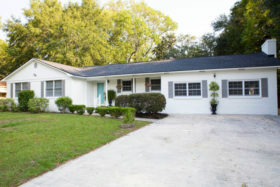 It is located in the West Ashley area – close enough to walk to Avondale! I would LOVE to do a consultation with you to let you know HOW to get your home updated and sold quickly and WHAT renovations pay off! 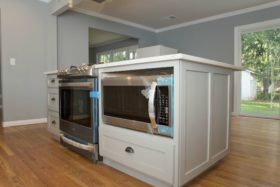 We restored this home to include all new features – new roof, electrical, plumbing, subfloor and beautiful hardwood floors, paint, soft-close cabinets, quartz countertops, and LG appliances. Renovations were recently completed the first week of September, which means as the new owner, there won’t be a need for any remodeling or upgrading for a while!! 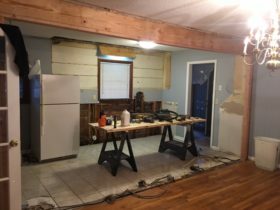 The kitchen (which is often considered one of the most important rooms in Charleston Real Estate) was completely demolished, down to the bare walls and floorboards. 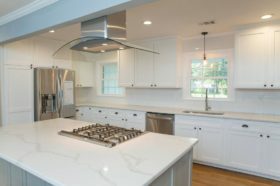 It was then rebuilt with shaker-style white cabinets, stainless steel appliances, can lighting, quartz countertops, undermount sink, white ceramic brick backsplash and an abundance of storage. I decided to go with all white to create an open effect making the room look much larger than it appears (but don’t worry, it is already pretty big, 800 sq ft to be exact). Walking into the master bedroom you see a large, spacious room with hardwood flooring (shout out to the awesome Robert Crosby and Ty Brown). The custom sliding barn doors will catch your attention as they lead to the double-mirrored vanity with shiplap walls and a large glass shower with pebble flooring. The barn doors bring this Lowcountry home/room together as they are a really unique touch! These were hand built by Frank Walters, and he also did the shiplap walls!! Call him to customize your home at (843) 514-8640. 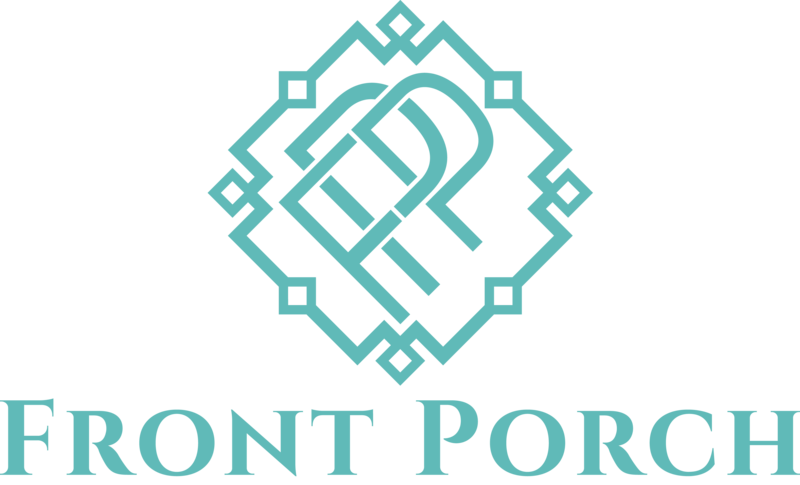 I would love to come see your home, and let you know what we can do to improve it to sell or improve it to keep and enjoy!! I have a plethora of contractors for each trade and look forward to hearing from you. — Audra Walters, Charleston Realtor specializing in West Ashley/Downtown/James Island and Mt. Pleasant. 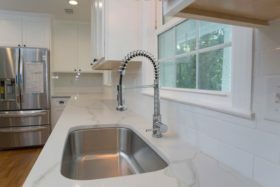 Posted in The Latest and tagged charleston homes, charleston real estate, charleston realtor, charleston renovation, downtown charleston, flipping houses, james island sc, mt pleasant sc, new house, remodeling house, west ashley sc.